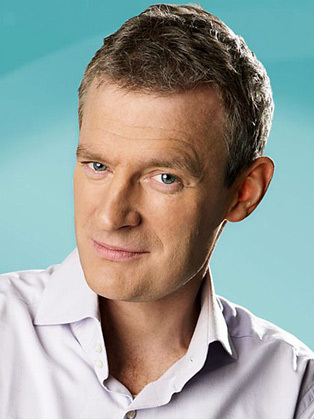 Jeremy is best known for presenting the daily Jeremy Vine Show on BBC 1. Jeremy Vine is a respected author, journalist, and news presented, who has been working with the BBC for 25 years. Vine currently presents the daily'Jeremy Vine Show', which appears on BBC 1, where he interviews guests, hosts live musicians, and presents the news and his views. Prior to this, Vine presented the popular BBC 2 programme, Newsnight. His interview style is distinguished as being direct and entertaining, and attained him the award of 'Speech Broadcaster of the Year' in 2005 and 2011 at the Sony Awards. Jeremy Vine presents the aptly titled Jeremy Vine Show daily on BBC Radio 2 and The Politics Show on BBC 1. Prior to this he presented BBC 2’s Newsnight. A University of Durham graduate, Jeremy joined the BBC as a news trainee in 1987 his apprenticeship saw him work in Belfast for two years, where he was occasionally drafted in to read the morning news bulletins. He also worked with Joan Bakewell as a researcher on Heart of the Matter. In 1989 he joined BBC Radio 4's Today programme as a reporter. There his assignments included a posting to Siberia, reporting on the Mafia and from inside the Middle East. Other jobs were as diverse as covering punishment beatings in Northern Ireland to sheep-racing in Dorset. Jeremy bided his time filling in for more high-profile presenters such as Michael Buerk and Brian Redhead before being appointed political correspondent under John Sergeant. During the 2001 election campaign he travelled the length and breadth of the UK in the Newsnight camper van encountering the likes of Jeffrey Archer who challenged him to a race down the beach at Brighton after Jeremy said the Tory party had become increasingly "elderly". Jeremy turned up but Archer pulled out citing tiredness. During the same campaign, Peter Mandelson stormed out of an interview and John Major once told him ‘You’re a very impatient boy’. Jeremy’s proudest of his report from South Africa, when his story about police brutality led to 22 officers being suspended. He’s won numerous awards for his reports but on BBC Radio 2, listeners are more likely to hear about his taste for The Smiths and Joy Division, and his hope that Chelsea will win the Premiership before 2065. He loves the films of Hitchcock and the poems of WH Auden. Jeremy recently hosted The Society of Maritime Industries’ Launch lunch and Emap’s Automotive Conference. He’s presented Awards for Reed Business, was master of ceremonies for CoreNet Global’s Summit and chaired the widely attended, government backed the e-Summit. He’s given speeches for Halifax and e-Gain, and interviewed Terry Pratchett for World Book Day.